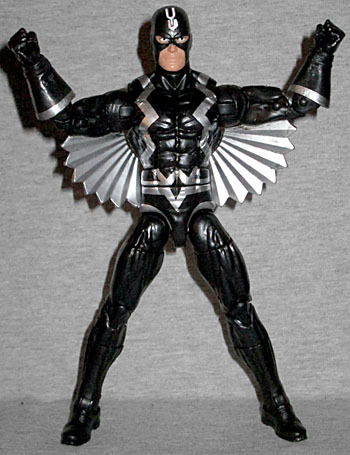 In today's review of the SDCC ML Thanos Imperative exclusive box set, we said that Black Bolt used Hasbro's new go-to body. Now we can link to this page every time we mention it! This entry was posted in addendums, Hasbro, lists and tagged Avengers, Black Panther, Captain America, Daredevil, Darkhawk, Deadpool, Fantastic Four, Guardians of the Galaxy, Inhumans, Marvel Legends, Spider-Man, X-Men. Bookmark the permalink. 2 Responses to Marvel Legends addendum: dat body! So what do we call the body? I mean, the "Bullseye body" had a ring to it, and it was clear enough. Ideas?